This recipe is sponsored by ACME. All thoughts are my own. Today is Valentine’s Day. With kids, I have never really gone out for Valentine’s Day. We are busy and it is often hard to get a sitter on that night. So we have decided that the best way to celebrate is after the kids go to bed, we will enjoy a special dinner for two. 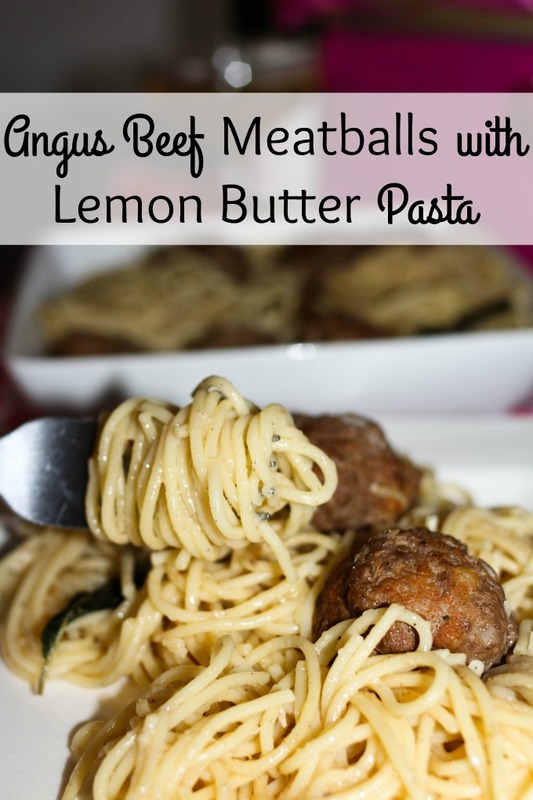 This is a different twist on classic spaghetti and meatballs. The meatballs are filled with two different meats and of course, there is no red sauce. Instead of using a red sauce, this pasta is tossed with a lemon butter sauce. ACME Markets offers high quality ingredients that can take a recipe to the next level. Using the O Organics® and Open Nature® brand products, I can make a great-tasting meal I am comfortable feeding my family. 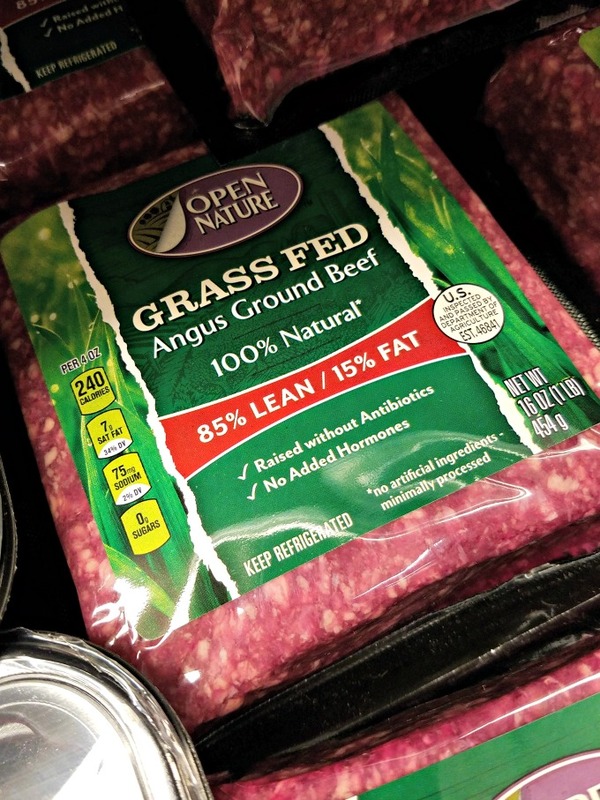 Like the Open Nature® beef, it is 100% natural, grass fed, raised without antibiotics and has no added hormones. It is minimally processed with no artificial ingredients. While shopping for ingredients and things to go with dinner, ACME has everything I need to create a beautiful table. 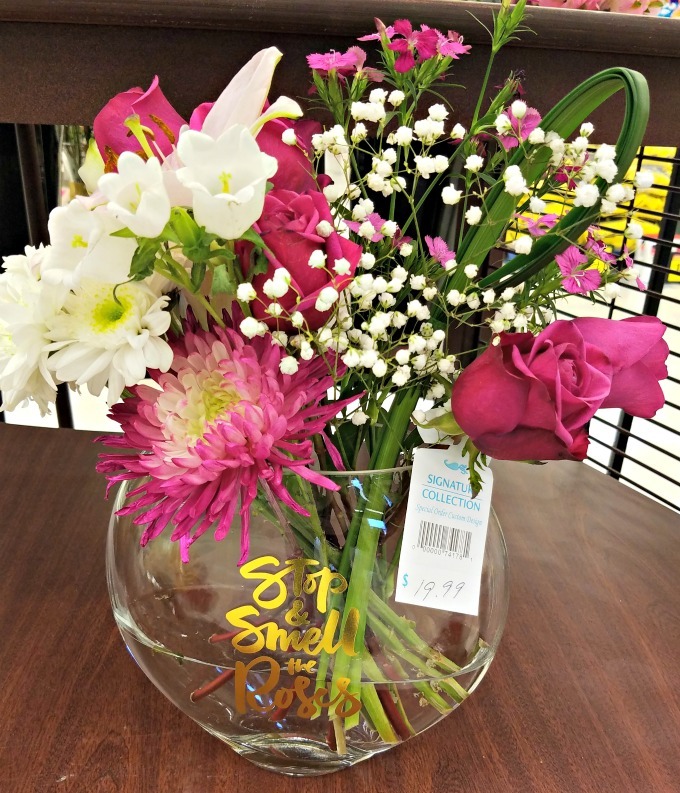 ACME’s exclusive debi lilly design™ collection has gorgeous, affordable flower vases and fresh cut, pre-arranged flowers to give as gifts or to simply brighten up a room. 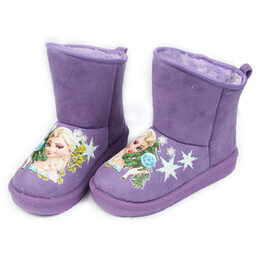 There is a wide selection of flowers and designs to choose from. 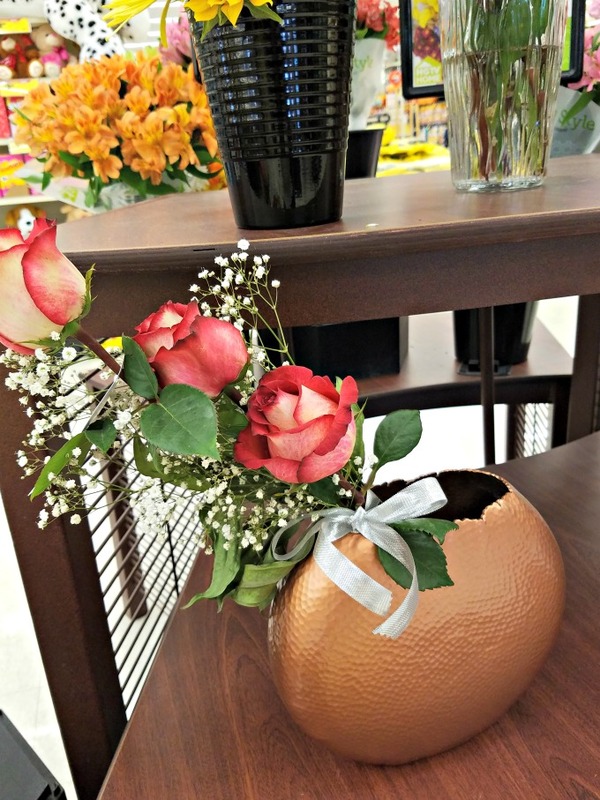 No matter the budget or style, there is something beautiful to pick up during your shopping trip. So, now on to the recipe. This dinner is extremely simple and has an elegant feel to it by making something other than a red sauce or a cream sauce for the pasta. Heat oven to 375°. Heat a large pot of water on high heat, add pinch of salt. Cook pasta; add to salted boiling water. Return water to boil, reduce heat to simmer and cook pasta for approximately 6 minutes or until soft, drain and reserve. In a large skillet over medium-high heat, add butter and allow to melt, add sage leaves once butter is completely melted. Allow sage leaves to begin to brown, carefully add lemon juice, add the cooked pasta and shredded Parmesan cheese, mix well and transfer to serving bowl. 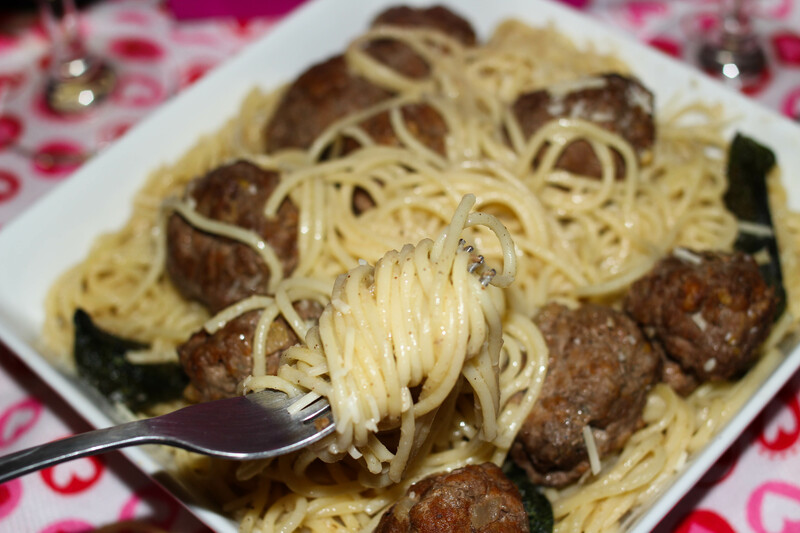 Remove meatballs from oven, place 6-8 onto pasta. Add a little more Parmesan cheese on top. 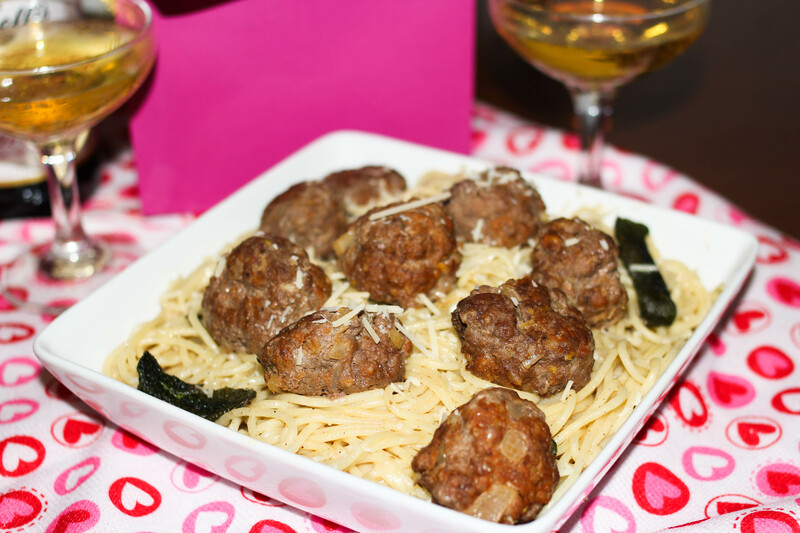 Enjoy this dish served family style, divide portions directly from the larger serving bowl for a romantic Valentine’s Day dinner! 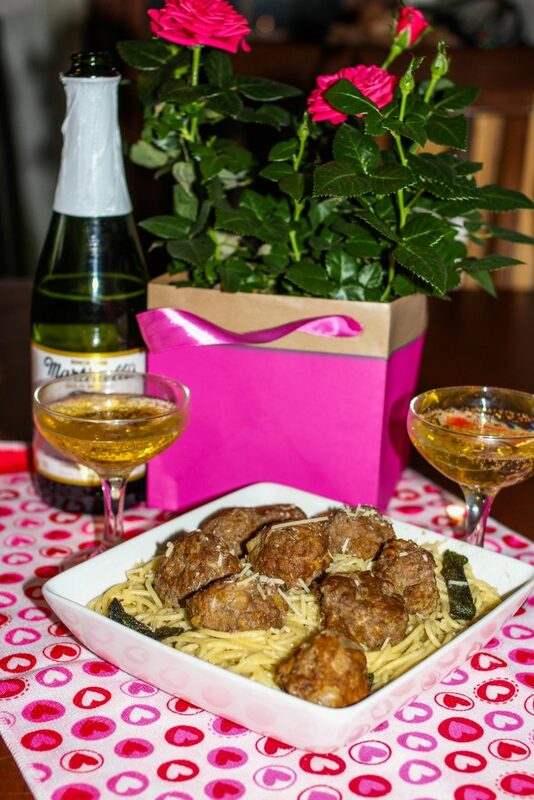 Head to ACME, grab the all-natural and nutritious ingredients to make this simple Valentine’s Day dinner, some beautiful flowers and sparkling cider and enjoy a romantic dinner together.